The 12th edition of the G20 monitor contains an overview from John Lipsky on the G20’s role in global governance after the global financial crisis; a paper by Geoff Weir on the G20, Thomas Piketty, and inequality; thoughts from Hugh Jorgensen and Christian Downie on multilateral energy governance; and a piece by Charles Sampford on integrity and anti-corruption. Should governments be focusing more on income and wealth inequality? Ever-growing inequality is inconsistent with the maintenance of an inclusive, democratic system of governance. The G20 should consider a combination of taxation, education and health reforms to reduce inequality. The world needs better multilateral energy governance. Whether the conditions exist for the G20 to remedy this problem is unclear, but members should pursue energy governance mechanisms that promote trust. This issue of the Monitor contains a keynote speech delivered at a recent G20 Studies Centre conference on G20 accountability and effectiveness, along with papers on income inequality, energy governance reform and the G20’s anti-corruption agenda. On 25 June 2014, the Lowy Institute hosted a conference in Melbourne titled Strengthening the G20’s Accountability and Effectiveness. John Lipsky, former first deputy managing director at the IMF, provided the keynote address and the full text of his speech is reproduced in this issue of the Monitor. Lipsky highlights a number of positive attributes that Australia can bring to its role as chair of the G20 in 2014. He also provides “a potted summary” of the evolution of global economic governance and the role of the G20. Lipsky sees the outcome of the Brisbane Summit as a critical moment for the G20, arguing that the future effectiveness of the G20 will depend on whether the Brisbane Summit restores a sense of political momentum and concrete accomplishment to the G20 leaders’ process – a return to leadership displayed at the original leaders’ summits. He notes the task will be particularly challenging given rising geopolitical tensions. While Lipsky believes that the growth agenda should be at the core of the G20’s activities, he observes that the main problem impacting the effectiveness of the forum is that key G20 leaders have not conveyed to their own citizens that global policy cooperation is critical to improving their economic performance. As a result, it is hard to say with certainty that any G20 member has altered its policy plans in the interest of achieving greater policy coherence. Lipsky highlights the potential to promote global welfare gains at the Brisbane Summit that could re-energise the spirit of economic cooperation. But he also notes that the risk of failure could result in the G20 being viewed as terminally ineffective. In this latter situation, the concern is that the creation of the G20 leaders’ process would have downgraded the pre-existing network of key international institutions without having created a “compensating competency”. Should the G20 focus on income and wealth inequality? Geoff Weir’s paper addresses the topical question of whether the G20 should focus on distributional issues or just on growth. He points out that this is a long-standing debate within the economics profession, with divided views as to whether the policy objectives should be on “growing the pie so that there is more for everyone” or “dividing it up before it is even baked”. As Weir outlines, at one stage there was a strong view in favour of emphasising growth and arguing that distributional issues will, in the process, largely take care of themselves. However the concept of all workers fully benefiting from economic growth has, as Weir notes, been “mugged” as better quality and longer-run data have become available. There is much evidence to suggest that income distribution in many Western economies has become more unequal. Weir focuses on the contribution of the work of Thomas Piketty to the issue of income and wealth inequality. Weir suggests that the major contribution of Piketty’s book, Capital in the Twenty-First Century, is the framework he develops for looking at what is driving income and wealth inequality, in particular the role of inherited wealth. As to why governments should be concerned about inequality, Weir states that one of the strongest arguments is that growing inequality is inconsistent with the maintenance of an inclusive, democratic system of governance. As to policy responses, Weir notes that Piketty’s idea of a global, progressive tax on wealth is politically unrealistic. However, Weir sees the required policy response involving a combination of taxation policies focused on inherited wealth and income derived from it, greater equality of access to educational and health services, and greater transparency and debate concerning remuneration packages for senior executives. There are two papers on energy governance reform. Hugh Jorgensen’s paper contains reflections from a conference on Global Energy Governance and the G20, held in Shanghai over 28-29 May 2014, co-hosted by the Lowy Institute, the Shanghai Institute for International Studies, the Korea Development Institute and the Centre for International Governance Innovation. The second paper is by Christian Downie and canvasses the G20’s prospects for driving reform of global energy governance. Downie notes that the global energy sector is experiencing a transformation. Nations that were major energy importers only a few years ago are becoming exporters, exporters are becoming large consumers, and previously small consumers are now the prime source of global demand for oil and gas. However, as Jorgensen points out, no existing energy governance body brings together all of the major current or future energy players on an equal basis. In terms of who might provide leadership to help reform global energy governance arrangements, Downie outlines a variety of reasons why it is unlikely to come from the US, China or the larger BRICS forum. A key point highlighted by Downie is that there does not appear to be a clear preference or vision from these actors on the makeup of the multilateral energy architecture. Jorgensen notes that there is also not sufficient clarity on the objectives for any new governance architecture. In 2012, the then Chinese premier Wen Jiabao called for greater multilateral coordination between G20 economies on making the global energy market more “secure, stable and sustained”. But as Jorgensen observes, even just the initial task of establishing a common position on what a ‘secure, stable, and sustained’ global energy market actually looks like is complex and difficult, let alone taking on the challenge of sorting out how to get there. On a similar point, Downie notes that while there has been much discussion about the potential role of the G20 in reforming global energy governance, there is much less on what conditions need to be met for the G20 to act in a significant fashion. Downie comes to the rather stark conclusion that given the existing preferences of the US, China and the other BRICS, it is likely that substantive reform will require some form of crisis to shift behaviour. As Downie notes, major crises have the potential to transform the context in which G20 negotiations on energy can take place. Jorgensen observes that at the Shanghai conference, participants were divided on whether it would in fact take a crisis before the G20 moved to make a meaningful contribution to global energy governance. However, Jorgensen points out that there was at least general agreement that the G20 should move to pursue policies that promote ‘trust’ between G20 economies on energy governance. Charles Sampford’s paper discusses the G20’s anti-corruption agenda, noting that the current focus is on lists of largely negative actions covering separate legal, institutional, economic, and ethical measures, rather than a coordinated multi-path strategy of mutually reinforcing measures. In particular, Sampford argues that rather than wholly focusing on what not to do, more attention needs to be directed at what should be the correct use of entrusted power. Specifically, he suggests that the G20 should deal with the concept of ‘integrity’, that is, the use of power for publicly justified and officially endorsed purposes. He also points out that many of the problems the G20 confronts are not strictly a matter of corruption, but are interconnected with a lack of ethics and integrity, and suggests the need for a ‘Global Financial Integrity System’ to deal with the global financial crisis and a ‘Global Carbon Integrity System’ to move the world to global carbon control. As to what the G20 should do, Sampford advocates for leaders at the Brisbane Summit to emphasise the importance of promoting integrity as part of combating corruption, and to give the Anti-corruption Working Group a new impetus focused on taking a leadership and coordinating role in developing integrity and anti-corruption system assessments. Note: On 25 June 2014, the G20 Studies Centre at the Lowy Institute for International Policy hosted a conference at the Westin Hotel in Melbourne on ‘Strengthening the G20’s accountability and effectiveness’. The following is the prepared text of the keynote speech, delivered by John Lipsky. It is always a thrill to be back in Australia and to visit Melbourne after an absence of several years. I have been visiting this beautiful country for thirty years, and I always found it amazingly energising to be here. I’ve had the privilege of sailing in Sydney Harbour on Australia Day, deep sea fishing on the Gold Coast, attending a G20 Deputies meeting on the Sunshine Coast, and visiting Parliament House in Canberra. But on my flight here yesterday, I got to look down with envy as we crossed the West Coast at Port Hedland, and recall my youngest daughter’s tales of her three-month trek in the Kimberly Range, including encountering prehistoric rock art that might not have been seen for thousands of years and swimming with crocodiles. Happily, I only heard that part well after the fact. “Don’t worry”, she told me, “they were only ‘freshies’, and you just had to let them know who was the boss”. I am grateful to the Lowy Institute for sponsoring today’s event, but also for the important work they have been doing to promote both the awareness of, and to enhance the preparations for the upcoming G20 leaders’ summit. Today’s conference reflects the potential for new contributions of the G20, but also the critical need for renewed progress in Brisbane this November and that will be the principal topic of my address today. But I also want to acknowledge the many contributions of Mike Callaghan to the G20 process, and to his sustained dedication to the principle and practice of multilateral cooperation in economic and financial issues. He has provided talent, energy and dedication in this realm over a span of years without any expectation of fame or fortune. Through his many contributions, however, he earned the great respect of his international peers, and their appreciation for his accomplishments − first at the IMF, where he served as an Executive Director, when he served as Australia’s G20 Finance Deputy, and more recently, heading the G20 Studies Centre at the Lowy Institute. For many of us who follow these issues closely, much is expected of the Brisbane G20 Summit. In part, this reflects a traditional aspect of Australia’s international role: It is often said that Australia “punches above its weight” in international fora, and I have seen time and again that this is true. There are several possible explanations for this fact, none of them mutually exclusive. First and foremost, it reflects the quality of Australia’s civil service. When Australia is represented by officials of the calibre of Mike Callaghan, Martin Parkinson and now by Glenn Stevens and Barry Sterland − and by sherpas (who directly represent G20 political leaders at the working level) like Gordon de Brouwer and Heather Smith − they will be listened to, taken seriously, and viewed with respect, even by those representing much bigger countries. Australians are known to be plain-spoken and clear; they tend to “tell it like it is”. But in the specific case of the representatives I just mentioned, they tend to do so eloquently: More than once after Mike spoke in the G20, I would think, “Why couldn’t I have said it like that”. A second reason for Australia’s outsized influence is because of its recent history of sustained, strong economic performance. Like everywhere, there are near-term challenges, as well as issues that will need to be faced over the medium term. By comparison, however, Australia’s sustained economic success suggests that the authorities here tend to know what they’re doing − and that gives them international credibility that would be lacking otherwise. A third reason is Australia’s Asian location, providing a unique perspective on the most successful locus of global economic growth. A fourth reason − paradoxically − is Australia’s relatively small size in terms of population and GDP. No one doubts Australia’s sincere commitment to a multilateral approach to problem solving. Australians see clearly that global challenges require global solutions − and that means constant communication, cooperation, and compromise. However, the Brisbane Summit represents an important milestone in the development of the G20 leaders’ process for reasons other than respect for the abilities of Australia’s representatives creating optimism about what might be accomplished. In fact, many observers consider that the Brisbane Summit will set the direction of the G20 leaders’ process − whether on a constructive path or not − for many years to come. First of all, Brisbane will be the first G20 Summit to take place in Asia since the Seoul Summit in 2010. With Prime Minister Abbott having taken office only nine months ago, with new political leadership just taking office in India, with Indonesia’s elections only two weeks away − and with relatively new governments in power in China, Japan and Korea, it will be important to gauge Asian G20 members’ commitment to maintaining the leaders’ process as the leading international venue for addressing economic and financial issues, a role claimed by the G20 leaders at their first meeting in Washington in November 2008. It also will be important to gauge Asia’s new leaders’ willingness to work together in a cooperative fashion in order to address economic and financial issues at both a regional as well as a global scale. For now, the broadly cooperative attitude that dominated the 2008 formation of the G20 leaders’ process in response to the global financial crisis has given way to a sense of much greater political tension than has been the case previously. The territorial and other disputes that have complicated relations within Asia are one factor. The crisis in Ukraine, including Russia’s contested annexation of Crimea, has heightened tensions sharply. Thus, the sanctions that several G20 members have imposed on Russia represent a potentially serious complication to relations among G20 leaders. Finally, spreading instability in the Middle East has further undermined the atmosphere of cooperation, as well as diverting leaders’ attention away from strictly economic and financial issues. Reflecting these developments, a key question regarding the Brisbane Summit is whether the heightened geopolitical tensions are undermining the possibility of G20 cooperation on economic and financial issues. The answer isn’t necessarily obvious, as the underlying premise of the G20 leaders’ agenda is that cooperation will produce benefits for all participants − a proverbial win/win outcome. Thus, to forgo progress in the G20 in principle implies forgoing the benefits of cooperation. Moreover, the Summit comes at a time when there remains widespread concern and/or dissatisfaction with global economic performance. While the first five G20 summits produced substantive agreements and new progress at both the technical and political level, the last three summits have been seen widely as having fallen short, each for different reasons. The 2011 Cannes Summit was more or less highjacked by the dramatic European political events regarding Greece and Italy that unfolded at that time. For reasons of the Mexican political calendar, the 2012 Los Cabos Summit took place scant months after Cannes, and was marred by a public disagreement between the United States and the rest of the G20 regarding the issue of IMF funding. Last year’s St. Petersburg Summit clearly was hampered by political tensions that already were rising for several reasons between Russia and the G7 countries. In addition, it was felt widely that the agenda over time had become overburdened with worthy issues, but ones that were not within the direct purview of the G20, that tended to dilute the focus of the summits, and that didn’t lead to clear conclusions or actionable results. As a result, it will be critical for the future effectiveness of the G20 leaders’ process that the Brisbane Summit more closely resembles the initial summits in terms of restoring a sense of political momentum and concrete accomplishment to the G20 leaders’ process. That will be a big task, but as I will explain to you in the course of my address, a new loss of G20 momentum and focus would raise substantial uncertainties about both the prospects for and the likely format of future multilateral approaches to economic and financial issues. In the balance of my address today, therefore, I would like to review with you the origin of the G20 leaders’ process and its relation to the pre-existing institutional structures for dealing with economic and financial issues. Then I will discuss the G20’s principal agenda items, and the progress that has been made to date, and the key elements that could contribute to renewed progress, and the importance of achieving a positive outcome. Finally, I will examine briefly the risks that would result from a failure of the Brisbane Summit to create a sense of constructive momentum for the G20. So on to a highly summarised − not to say, potted − history of the G20 leaders’ process, keeping in mind that the creation of this process represented the principal institutional response to the global financial crisis of 2008/09. In this context, it’s worth pausing for just a moment to recall the logic of the pre-existing international institutions, that were set up in the wake of the Great Depression and World War II, and that the creation of the G20 leaders’ process in effect sought to modify. In the late 1920s and 1930s, a recession turned into a Depression that became the Great Depression that sharply exacerbated the tensions that erupted in World War II. A consensus emerged in the late 1930s and early 1940s that the Great Depression became ‘great’ in large part because international trade collapsed under the weight of beggar-thy-neighbour protectionist policies, exacerbated by the implosion of the international payments system, as an ill-fated attempt to resurrect the pre-World War I gold standard failed catastrophically. Ineffective and inappropriate monetary policy responses helped to spread financial panic, adding serious complications. The war, in turn, was hastened by the absence of an effective international venue for dealing with security and political issues, as the post-World War I formation of the League of Nations never gained traction, especially absent American participation. These specific concerns were addressed directly by the triad of new multilateral institutions created in the mid-1940s with the explicit goal of providing a solid foundation for a new rule-based world order based on multilateral cooperation. These included: (1) The United Nations, that was created to address political and security issues (abstracting from the many other activities carried out by various UN specialised agencies); (2) The General Agreements on Tariffs and Trade (GATT, now the World Trade Organization [WTO]) tasked with progressively reducing the trade barriers that had been erected in the Great Depression; and (3) The International Monetary Fund (IMF), intended to create an open, non-discriminatory and multilateral system of payments in support of growing international trade − at a time when the starting point essentially was exactly the opposite. The IMF’s sister organisation − the World Bank − was created at the same time, originally with the self-explanatory name of the International Bank for Reconstruction and Development. The OECD − originally founded in 1948 as the Organisation for European Economic Cooperation to help administer the Marshall Plan − assumed its current form in 1961 and today comprises some 34 member countries. While it was intended originally that each of the three basic institutions would have global membership, the Soviet Union refused to join the IMF and the GATT − instead creating the ill-fated ruble bloc and the hapless [Council for Mutual Economic Assistance] COMECON trade area, while China and India were not yet major participants in global markets. Thus, the collapse of the Soviet Union − and the ongoing liberalisation of the Chinese economy (and to some degree that of India, as well) finally converted the IMF into a global institution as was envisioned initially, ushering in what I refer to as the period of ‘true globalisation’. In the case of the WTO, 24 countries are still negotiating membership. In this sense, the current international system is less than thirty years old, and still remains incomplete. It also should be remembered that strains emerged by the late 1960s in the IMF’s original fixed-but-flexible exchange rate system that eventually caused it to be abandoned in the early 1970s in favour of a non-system that my children probably would have entitled “Whatever”. These developments helped to give rise to regular meetings of the G7 Finance Ministers beginning in 1976, and to the creation within the IMF of the Interim Committee (now the International Monetary and Financial Committee, or IMFC), a ministerial-level body that was created to help guide the evolution of the international financial system after the abandonment of fixed exchange rates. In other words, it long ago became evident that a rules-based multilateral system needed to evolve, and that this evolution required some kind of executive grouping in order to give the process form and substance. A cynic might say that this more fluid construction was based on the old notion that everyone is equal, but some are more equal than others. A pragmatist might retort that a global system that effectively constituted a permanent town hall debate might have its attractions, but more likely it would represent a recipe for stalemate and frustration. Now fast forward to the revolutionary developments of the 1990s, that I claim ushered in the current period of “true globalisation”. A global trading system for goods and most services has been restored for the first time since the onset of World War I. At the same time, the international payments system became both global and dramatically more liberalised, liquid, and reliable than previously, while international capital markets emerged that had no historic precedent in terms of their depth, breadth and complexity. Not surprisingly, the post-1990 period has been marked by periodic bouts of instability − first the so-called Tequila Crisis of 1994-95, followed by the Asian Currency Crisis of 1997-98, and its aftermath. As I presume that you all remember, the G20 was created originally at the level of finance ministers and central bank governors in 1999, in the wake of the Asian crisis. The original proposal for the G20 ministerial came from Canadian Finance Minister Paul Martin, and was supported strongly by the Clinton administration, among others. The basic idea was straightforward: the pre-existing G7 finance ministers’ process (intended to act as a leadership group) was too narrow in membership, and needed to be broadened if it were to be effective in a rapidly globalising world. That the membership was somewhat disjointed with regard to the IMF’s ministerial-level IMFC (but with a substantial overlap in key members) was not considered to be too worrisome, as the G20 ministerial was intended more as a talking shop than as a source of actionable policy decisions. At the same time, the Financial Stability Forum was created, with a membership of 12 financial centre countries, with the mandate to “promote international financial stability through information exchange and international cooperation in areas of financial supervision and surveillance”. Moving past the Asian crisis − and the nearly simultaneous bursting of the dot-com stock bubble in the United States − the opening decade of the twenty-first century initially was marked by a period of strong and uniform economic growth, but accompanied by unprecedented payments imbalances, with attention centred on the huge Chinese surplus and an even larger US deficit. The IMF responded to this challenging environment by convening the Multilateral Consultations on Global Imbalances of 2006-07, with the participation of China, the European Union, Japan, Saudi Arabia and the United States. Without burdening you with the details, this relatively unknown initiative was an innovative effort at multilateral economic policy cooperation that foundered ultimately on the lack of political commitment by the key participants to initiate the agreed actions that were intended to avoid the kind of crisis that emerged shortly thereafter. But the Consultations’ apparent ineffectiveness was taken by key authorities as ruling out the IMF as the principal organiser of broad macroeconomic and financial policy cooperation. When the global financial crisis began to spin out of control in September 2008 it was obvious that emergency action was required, and that the G7 was too narrow a grouping to be effective in organising an effective response. Rapidly proliferating − and competing − plans for a new ‘G’ grouping eventually were settled by the decision to raise the G20 ministerial to the leaders’ level. On very short notice, the initial G20 leaders’ summit was convened in Washington in November 2008, where an agenda was agreed that focused on four principal goals: (1) restoring global growth; (2) repairing and reforming the global financial system; (3) preventing new trade protectionism while encouraging increased trade liberalisation; (4) reforming the International Financial Institutions (IFIs), especially the IMF’s funding and governance. In the subsequent London G20 Summit of April 2009, the Pittsburgh Summit of September 2009, the Toronto Summit of June 2010, and the Seoul Summit of November 2010, historic agreements were reached on actions with regard to each of these agenda items and, in each case, new organisations or specific programs were agreed in order to accomplish the key goals. In other words, it appeared initially as though the G20 leaders’ summits represented an effective format for international policy cooperation that could be viewed either as directing or supplementing (or better put, supporting) the actions of the pre-existing international institutions. In any case, a conscious decision was made not to construct a G20 secretariat, in order to avoid the risk of simply adding another bureaucracy. Rather, the idea was that a rotating presidency would take the organisational lead, drawing on existing institutions and national governments for technical expertise and organisational support. Specifically, the initial post-Lehman global downturn was counteracted through unprecedented, simultaneous, massive, and pervasive monetary and fiscal stimulus measures. This was followed at the Pittsburgh Summit by the creation of the Framework for Strong, Sustainable and Balanced Growth in order to maintain a coherent and cooperative approach to setting demand management and other basic macroeconomic policies even as growth restarted. This work was to be carried out by the newly created Framework Working Group at the deputy minister/deputy governor level, with extensive technical support from international institutions, including the IMF, the World Bank and the OECD. In the interest of promoting the repair and reform of the financial system in an internationally consistent and coherent fashion, the G20 leaders mandated the expansion of the pre-existing Financial Stability Forum into the Financial Stability Board through the inclusion of all G20 countries that previously had been excluded from the FSF. The FSB is a voluntary grouping of finance ministries, financial supervisors and central banks that was tasked with negotiating the intricacies of financial sector reform in the interest of enhancing international financial stability while promoting the availability of funding needed for restoring global growth. Notably, this organisational expansion brought the authorities of key emerging economies to the ‘top table’ of discussion of financial sector reform. Ironically, the pre-existing Financial Stability Forum had been created less than a decade earlier explicitly in the interest of keeping exactly these ‘new members’ outside of such discussions! What a difference a decade can make! In order to avoid new protection, the G20 leaders pledged not to adopt any new protectionist measures, while at the same time agreeing to promote the rapid conclusion of the WTO’s multilateral Doha Development Round. And in the interest of IFI reform, the G20 leaders in London agreed on substantial new financial resources for the IMF and other IFIs, and endorsed innovative new IMF crisis-prevention facilities that responded to the characteristics of the increasingly securitised format of cross-border capital and investment flows. At the Seoul Summit in November 2010, the G20 leaders endorsed a major realignment in the voting shares and a doubling of the quota resources of the IMF, pledging to formally implement these reforms by the 2012 Annual Meetings. In a side arrangement, the IMF’s European members agreed to relinquish two of the eight IMF Executive Director positions (out of a total of 24) they held at that time, but only when the new reforms were ratified. In sum, the G20 leaders adopted in their initial meetings a substantive set of goals, and created mechanisms by which all of them could be accomplished. The sixth anniversary of the first G20 leaders’ summit is fast approaching. It is reasonable to ask whether any of the key goals can be viewed as having been accomplished, and whether the G20 process has been meaningful in promoting their achievement. The answers will be crucial in deciding what is needed to be accomplished at Brisbane and beyond. At this point, it seems clear that none of the basic agenda items can be considered to have been completed. This is not in itself a condemnation of the G20’s effectiveness. After all, with the leaders representing close to two-thirds of the globe’s population, and nearly 85 per cent of its GDP, it already has been demonstrated that their agreement on specific action can be exceptionally powerful. At the same time, the grouping lacks the legitimacy of an international institution, lacks the legal standing of a treaty-based institution, and lacks a voting rule, meaning that its ability to act rests of the formation of a broad consensus. Moreover, the G20 agenda appropriately contains only important and consequential issues, and none of them are susceptible to rapid resolution. Still, it is worthwhile to take stock of the progress on the initial agenda. Taking the four key items in order, the Framework Working Group (FWG) succeeded in creating a sense of substantive engagement on the broad issue of cooperation and coherence of macroeconomic policies. This reflects a sustained level of focused and substantive contact on basic macroeconomic policy issues among the relevant technical-level officials of G20 countries that I believe to be unprecedented. It simply doesn’t work for a G20 deputy to refuse to engage with their peers on an issue of importance and expect to remain an accepted member of the group. Thus, a combination of persistence and relevance has produced engagement − no small accomplishment. This has occurred in spite of the almost total public ignorance of the specific work of the Framework Working Group, including on the part even of many normally well-informed specialists. A cursory examination of the policy action plans developed by the FWG as part of each summit’s documentation demonstrates that the FWG’s work has reflected a substantial effort at a technical level. Moreover, the FWG has developed an Accountability Assessment Framework − a peer review process by which each G20 member’s policy actions are to be examined in the interest of ascertaining whether the member has implemented the policy initiatives that had been indicated. The review process also addresses whether the plans remain appropriate, or whether they need to be revised going forward. However, reflecting the voluntary nature of the G20 structure, FWG members have been careful not to describe their Framework policy plans as ‘commitments’. Of course, one key reason for the lack of public awareness about the Framework is that there has been very limited public commitment at a political level to the process. Key G20 leaders typically have not portrayed to their own citizens that global policy cooperation is critical to improving their economies’ performance. Thus, despite the substantial effort that has been devoted to this process at a technical level, it is hard to say with certainty that any G20 member has altered its policy plans in the interest of achieving greater policy coherence − and therefore effectiveness − with its G20 partners. This despite the formal acknowledgment by the leaders at their Toronto Summit − supported by an IMF study commissioned for the occasion − that a cooperative approach to macroeconomic policy formulation can provide a Pareto-superior outcome, in which everyone would be better off, and no one worse off, by implementing coherent policies relative to their pre-existing − and uncoordinated − policy plans. From my point of view, the lack of clear political commitment to the Framework from the most important G20 leaders is a significant issue for the future role of the G20. It should be remembered that the Framework for Strong, Sustainable and Balanced Growth is the only one of the four key G20 agenda items that does not require cooperation or participation beyond the G20 members themselves. In that sense, it is the only agenda item that is entirely “Of the G20, by the G20 and for the G20”. Moreover, the goal of attaining strong, sustainable and balanced growth lies at the heart of the G20’s self-defined mandate of representing the leading venue for addressing economic and financial issues. In other words, if the G20 can’t make the Framework an effective vehicle for policy cooperation, it has to be asked whether it can be relevant and effective in dealing with the other agenda items, that by definition involve the participation of non-G20 members. Perhaps the most concrete progress has been made on financial sector reform. An impressively rapid agreement was reached on the Basel III bank capital adequacy standards (although the risk-weighting approach on which it is based is a source of ongoing controversy). Moreover, important work on strengthening European banks is being undertaken this year. However, much work also remains to be accomplished on the regulation of non-bank financial institutions, and on such already agreed measures as the creation of central clearing mechanisms for standardised derivative contracts. At the same time, it should be recalled that financial sector reform isn’t synonymous with regulatory reform. In addition to improving regulation − and especially redrawing the perimeter of regulation to ensure that systemically important institutions were inside the regulatory perimeter − it was recognised that there is a need to strengthen supervisory functions, to create resolution mechanisms in order to limit too-big-to-fail risks, and to bolster the means of assessing progress in order to ensure that agreed reforms in fact are implemented as intended. With regard to trade goals, the picture is rather more uncertain. The WTO’s Doha Development Round has never been completed as envisioned. In its place, a raft of potentially important regional trade agreements (RTAs) are being negotiated, including the Trans Pacific Partnership (TPP), the Transatlantic Trade and Investment Partnership (TTIP), and Asian countries’ Regional Comprehensive Economic Partnership (RCEP). In fact, the WTO reports that at present, 585 RTAs either are in effect or are under negotiation. Finally − and most frustratingly − the IMF quota and voting reforms that were agreed at the Seoul Summit in 2010 − and which were to be ratified by October 2012 − have not taken effect for the simple reason that the United States Congress has not approved them. In all honesty, there is simply no clear prospect at this time for them to be approved in the current Congress, and there are serious doubts that the new Congress will be any more likely to do so. The panels that follow today will address specific challenges facing the G20 at Brisbane and beyond. What is required is to give the G20 new momentum and direction, not for its own sake, but because the G20 represents the principal avenue for enhanced international policy cooperation, and because those who have worked to promote the G20 are convinced − backed by analysis, as I noted earlier − that a cooperative approach can produce superior results, the always sought-after win/win result. What is required at the current juncture is a focused agenda − and the original agenda items in broad terms remain both relevant and unfinished, and I don’t need to repeat myself about the centrality of the Framework for Strong, Sustainable and Balanced Growth to sustained G20 success − along with serious engagement at the technical level, and clear endorsement at the political level. It seems obvious that creating an atmosphere of coherence and consistency of purpose and policy would bolster confidence about the future that would be self-fulfilling, at least to some degree. Without any doubt, the willingness and ability of the G20 leaders to maintain their focus on economic and financial policy cooperation, despite the current political tensions, could even help to limit − and perhaps eventually help to solve − the current political tensions among some of the world’s most important economies. In the longer run, there will be a need to sort out the ambiguities of the current institutional structures for dealing with economic and financial issues. For example, the IMFC has the strengths of the legitimacy of universal representation and of a voting rule that allows acceptable decisions to be reached even in cases where there are disagreements. At the same time, there are substantial overlaps in the membership of the IMFC and of the G20 ministerial. Similarly for the IMF/World Bank Development Committee. The formal role of the FSB and its relationship to the IMF and World Bank needs to be clarified to enhance their effectiveness. The WTO would benefit if it were possible for the G20 to provide greater confidence in the coherence in efforts to further liberalise global trade in the face of proliferating regional trade agreements. And the governance of the IFIs will need to be adjusted dynamically over time. So the great incentive for pushing forward with the G20 leaders’ process is the potential for promoting widespread welfare gains in a confidence-enhancing environment of cooperation. But we also shouldn’t ignore the risks of failure. The creation of the G20 leaders’ process implicitly downgraded the relative standing of the pre-existing network of key international institutions − as the G20 reserved for itself the role of providing the leading venue for addressing economic and financial issues. If the G20 comes to be viewed as terminally ineffective, the result will have been to undermine the pre-existing formal, treaty-based institutions, but without creating a compensating competency. The failure to achieve a win-win outcome runs the risk of instead resulting in lose-lose. Happily, our presence here today reflects our determination to do everything we can to make the result a win-win outcome. Senior Fellow, The Paul H. Nitze School of Advanced International Studies, Johns Hopkins University, Washington, DC. Who is right? Do equity issues matter? More specifically, should the G20 policy agenda focus on distributional issues or just on growth? If both, why has there not been more focus to date on issues of inequality? And how should governments deal with the issue? This paper begins by examining these questions in the context of the role played by the economics profession. It then focuses on the important contribution from Thomas Piketty’s recent work, Capital in the Twenty-First Century, before considering appropriate policy responses. Putting aside for the moment the ethical and moral dimensions to this question, important as they are, are there more pragmatic reasons as to why governments should pay more attention to income and wealth inequality? One of the strongest arguments in the affirmative is that growing inequality of wealth and income is inconsistent with the maintenance of an inclusive, democratic system of governance. Certainly that was the view of a US Supreme Court Justice, Louis Brandeis, who speaking early in the twentieth century said: “we may have democracy, or we may have great wealth concentrated in the hands of a few, but we cannot have both.” This is a topical issue in Australia at present: would Clive Palmer have been able to ensure that the carbon tax, that would have hit his business interests, will be abolished retrospectively if he was not extremely wealthy? It would be a mistake to focus on growth and let inequality take care of itself, not only because inequality may be ethically undesirable but also because the resulting growth may be low and unsustainable. While this very important and policy relevant work is still in its early stages, the findings to date directly challenge the old political dividing line of “we’re focused on growing the pie so there’s more for everybody, while you lot are focused on dividing it up before it’s even baked”. Instead, the IMF note suggests that policy-makers focused primarily on how to boost domestic and global growth − as the G20 currently is − should be looking at inequality as part of this agenda. Why has there not been more political focus on inequality in G20 economies? There are many reasons why distributional issues do not have a higher public policy profile in many countries. One is ideology or, to put it more crudely, self-interest: many of those who have reaped the benefits of economic growth are perhaps understandably reluctant to engage in discussions about whether the distribution of those benefits is ‘fair’ or ‘reasonable’. Another, related factor concerns the way in which the economics discipline has evolved. Whereas in Ricardo’s time economics, or ‘political economy’ as it was widely referred to, dealt front-on with the interaction between economic laws and principles and the political processes and social values through which these laws and principles are applied, much of modern academic economics limits itself to issues that can be expressed in elegant − but not always relevant – sets of equations and models. How do we model and measure ‘equity’ and ‘fairness’? Neoclassical economists and their models of how economies work tell us that distributional issues can be largely left to the market to determine, since returns to factors of production − both at a macro and a micro level − will over time equal their marginal productivity, which is seen as both efficient (growth enhancing) and equitable in the sense that we are paid what we contribute. A third factor, and arguably the most important one, is that a good deal of modern macroeconomic analysis and associated economic policy advice to governments has been based on another ‘stylised fact’, namely that the wages share of national income in industrialised economies is remarkably stable. Keynes himself subscribed to this view: in 1939, he described it as “one of the best established regularities in all of economic science”, despite the fact that it was based on at best very inadequate data at the time. It is an assertion that is critical to broader issues surrounding inequality of income and wealth distribution: because the ownership of capital is much more concentrated than ownership of labour, a rising profit share is likely to be associated with growing inequality in the distribution of income, and vice versa. This assertion regarding the constancy of factor shares was taken a step further by Simon Kuznets, one of the founders of national income accounts, who in his 1954 address to the American Economic Association (of which he was President) put forward his famous “Kuznets Curve” theory. Labour’s share of national income, he alleged, at first falls (and with it inequality rises) during early stages of industrialisation, then rises (and inequality falls) and finally levels out and stabilises, as economies move into more advanced stages of industrial development and rising labour productivity is increasingly passed through to the workforce via higher real wages. In short, the view was that “a rising tide lifts all boats”. This view was seemingly supported by data suggesting that, for most of the earlier part of the twentieth century, the wages share in many Western economies did in fact rise and the profit share fell as those economies became more industrialised. It became a powerful political argument in favour of emphasising growth and suggesting that distributional issues will in the process largely take care of themselves. The argument reached new political heights under the Reagan administration in the United States in the form of ‘trickle down’ theory: that what is good for the wealthiest in society is ultimately also good for the poorest. This ‘stylised fact’ of workers fully benefiting from the fruits of economic growth has, however, been challenged if not mugged more recently, as better quality and longer-run data have become available. To take but one of many examples, a 2011 ILO report found that the wages share of national income had fallen significantly in “three quarters of 69 countries… for which data is available… from the early 1970s to late 2000s”. These findings and their broader consequences have been confirmed in a wide range of other studies showing that income distribution in many Western economies has become considerably more unequal in recent decades. Landing in the middle of this inconvenient disturbance of conventional economic wisdom is Thomas Piketty’s major work, Capital in the Twenty-First Century. The central empirical finding of Piketty’s book, based on long-run tax and other data sources on income and wealth distribution across a number of countries, is that the period from around 1910 to 1980, during which the distribution of income and wealth became considerably more equal, was the historical exception not the rule, that it has been partly reversed since, and that on current trends will be more than reversed over coming decades. Piketty attributes the compression of income and wealth distribution during this earlier period to a number of factors. First, the enormous destruction of wealth and the income derived from it flowing from two world wars and the global depression of the 1930s, which saw the capital share of national income fall from around 1910 to around 1950 in many countries. Second, is the historically much higher rate of economic growth in the immediate post-World War Two period (which he also sees as an anomaly). And third, the introduction of much higher and more progressive tax systems during the world wars to help finance the war effort. In turn, the partial reversal of this ‘historical anomaly’ period (a summary term I will use below for the period of falling inequality from around 1910 to around 1980) is attributed to the recreation of wealth since the end of the Second World War; to a marked increase in income inequality at the very top of the income scale (what he refers to as the “super managers”) in recent decades, especially in the US and UK; and to significant reductions in most Western economies in the progressiveness of their tax systems in recent decades. Arguably the major contribution of Piketty’s book is the framework he develops for looking at what is driving income and wealth inequality, and for analysing the critical relationship between the two. Piketty’s central thesis is that rising inequality largely reflects the fact that the average return on capital broadly defined, which he labels r, has exceeded the growth rate of the economy, g. Indeed, his data suggest that this has been true in just about every economy for as long as rough estimates of r and g can be made, except the ‘historical anomaly’ period. If r exceeds g by a sufficient amount, wealthier owners of capital are able to live very comfortably off just a proportion of the returns on their assets and reinvest some of those returns, leading − in the absence of a similarly sized reinvestment of labour income − to a rising share of capital in national income. It also enables owners of capital to pass on this growing wealth to their heirs, reinforcing and perpetuating the process and making it “almost inevitable that inherited wealth will dominate wealth amassed from a lifetime’s labour by a wide margin”. This, Piketty argues, is exactly what the data suggest has happened historically. On his estimates, the return on capital has typically been around 4-5 per cent and well in excess of global growth, which he argues has over the very long run typically been around 1-1.5 per cent. Piketty sees the rise in the share of capital in GDP since around 1950, the slower growth since around 1970, and the fact that the ownership of capital is much more concentrated than the ownership of labour as the fundamental factors behind increased inequality of wealth and income. They are further exacerbated by the observation that returns on capital tend to be positively correlated with the size of the capital pool, and the very important impact of inheritance in perpetuating and increasing inequality. Turning his attention to prospects for the twenty-first century, Piketty argues that, in the absence of either some major geopolitical crisis or alternatively significant and coordinated redistributive policy interventions, the distribution of income and wealth is likely to return to, and then exceed, the extreme levels seen in the late nineteenth century, in what he refers to as “a drift toward oligarchy”. He sees two main reasons for this. First is his expectation that r will continue to exceed g, and by an amount sufficient enough to ensure that increased capital accumulation and inheritance will continue to play the critical role referred to earlier. Second, the increasing global ‘race to the bottom’ in terms of taxation rates on capital and progressivity of income tax scales. Piketty’s analysis has received an extraordinarily widespread response from eminent economists, journalists, and social commentators. While initially widely praised, it has more recently been subjected to a range of criticisms. None of them, however, appear significant enough to undermine his central findings. Potentially the most damaging criticism to date of Piketty’s analysis concerns the reliability of the wealth inequality data he used. The economics editor of the Financial Times, Chris Giles, recently published a scathing article suggesting that Piketty had made “fat finger” errors, made unexplained adjustments to some of the data, included data entries with no source, engaged in “cherry picking” of his data sources, and made trends up for periods in which data were not available, such as in the US for the period 1870 to 1960. The clear implication of his criticism is that Piketty has “cooked” the data in order to reach the conclusions he wanted. However, close examination of Giles’ criticisms suggests that they are overblown. Even if one accepts all of his suggested data adjustments (which in his response Piketty certainly does not) most of Piketty’s central findings remain intact. Why are Piketty’s findings important from a policy perspective? There are two reasons why Piketty’s findings are critical to the debate on whether G20 (and other) governments should be focusing more on income and wealth inequality. The first is his conclusion that, in the absence of policy intervention, income and wealth inequality in many countries is set to return to the extreme levels seen in the nineteenth century, with all that implies for the health and stability of democracy and − in line with the earlier IMF work referred to − for the level and duration of growth itself. The second reason, which strongly reinforces such concerns, is Piketty’s analysis as to why this is occurring and whether it is justified: “the key issue is the justification of inequalities rather than the magnitude as such. That is why it is essential to analyse the structure of inequality”. With respect to this ‘structure of inequality’, Piketty concludes from his detailed analysis of inherited wealth that: “the very high concentration of capital (wealth) is explained mainly by the importance of inherited wealth and its cumulative effects.” Similarly, with respect to the recent emergence in the US in particular of extreme inequality in the distribution of income from labour − “probably higher than in any other society at any time in the past” − Piketty argues this cannot possibly be explained or justified in terms of increased marginal productivity of the ‘supermanagers’ earning it, and instead largely reflects the fact that social norms regarding extremely high remuneration have changed considerably in Anglo-Saxon countries, with supermanagers increasingly setting their own remuneration packages. Piketty then discusses the dangers of increased inequality for social stability and the future of democratic institutions, noting that: “our democratic societies rest on a meritocratic worldview, or at any rate a meritocratic hope … in which inequality is based more on merit and effort than on kinship and rents.” But if inequality continues to grow and is increasingly seen as dependent on “arbitrary contingencies” rather than merit, he suggests, the implications for stable democracies are obvious. It is hard to think of a more powerful case as to why rising inequality matters and why governments need to focus more on it. Piketty proposes two main policy solutions to growing inequality. First, a global progressive tax on wealth. Second, a more progressive personal income tax scale, especially on the very top income levels, where he argues the ‘optimal’ tax rate in developed countries is probably above 80 per cent. Even if one agrees in principle that more progressive and coordinated income and wealth taxes are justified, they are also − as Piketty himself recognises − politically unrealistic. The reason for this is that, in a globalised world of highly mobile capital, competition to attract that capital is inevitable − or to put it another way, the chance of getting all countries to agree to higher and uniform tax rates on capital is close to negligible. Indeed, no doubt in part because increased wealth brings increased political influence, what we have actually witnessed in many Western countries in recent decades is much lower tax rates on capital than on labour. Dynastic wealth, the enemy of a meritocracy, is on the rise. Equality of opportunity has been on the decline. A progressive and meaningful estate tax is needed to curb the movement of a democracy toward a plutocracy. Buffett’s testimony raises a broader issue regarding policy responses to rising inequality. It refers to “equality of opportunity” being on the decline. At least some − and possibly many − politicians would argue that governments should not be focusing on the ‘end result’, or ex poste distribution of income and wealth, but instead should focus on its ‘ex ante’ determinants, and in particular on how to provide for greater equality of opportunity with respect to factors such as access to education and health services. There is strong evidence that both good health and the completion of higher levels of education are major determinants of socioeconomic achievement at the lower and middle levels of the income distribution. Broader access to good-quality health and education, and improving educational retention rates among the more disadvantaged sectors of society should certainly be an important area of focus for governments concerned about inequality and growth. That is why, as Piketty himself points out: “the issue of unequal access to higher education is increasingly a subject of debate in the United States”, where “the average income of the parents of Harvard students is currently about $US 450,000, which corresponds to the income of the top 2 per cent.” Does Australia, with its recently announced higher education reforms, really want to go down this path as well? However, as critical as improving equality of opportunity is, the central finding of Piketty’s analysis is that the rapidly rising concentration of income and wealth at the very top of the distribution has very little to do with merit, ability, or effort and more to do with the ‘arbitrary contingencies’ of inherited wealth and of ‘supermanagers’ being paid extraordinarily large packages that have no relationship to their marginal productivity. As unwelcome as this finding may be, it does lead inevitably to the conclusion that changes to taxation policy, as it relates to inherited wealth, are a necessary component of policy changes to deal with the looming issues identified by Piketty. There is also a strong case for more transparency on, and open and informed questioning of, remuneration packages for senior managers. Here again governments have a role to play. Australia in its current role as Chair of the G20 has focused heavily on the objective of lifting G20 members’ economic growth. This paper has suggested that, even within this specific context, there is a strong case for focusing on inequality given evidence of its adverse impact on the level and duration of growth. From a policy perspective, the detailed and convincing analysis of Piketty suggests that the underlying factors driving increased concentration of income and wealth at the top of the distribution have very little to do with merit, and much more to do with inherited wealth and ‘supermanagers’ being paid excessive packages set by their peers. Dealing with these issues will require a combination of: taxation policies focused in particular on inherited wealth and income derived from it; greater equality of access to good educational and health services; and greater transparency and debate concerning the remuneration packages paid to senior executives. There is of course a ‘catch 22’ problem in all this. It is in part because increased wealth brings increased political influence that what we have actually witnessed in many Western countries in recent decades has been much lower tax rates on capital than on labour. It is difficult to see this trend reversing, even just with respect to inherited wealth, in the absence of either: a period of informed and open discussion of the issues, encouraged by governments and think tanks, followed by policy changes; or a major and disruptive social and political backlash at some point in the future. The unattractiveness of this second scenario is a further reason why governments need to put inequality issues firmly on their agendas. Former Research Fellow at the Centre for International Finance and Regulation. Paul Krugman, “Why We're in a New Guilded Age,” The New York Review of Books, 8 May 2014. Thomas Piketty and Arthur Goldhammer, Capital in the Twenty-First Century (Cambridge MA: The Belknap Press of Harvard University Press, 2014). Robert Reich, “10 Practical Steps to Reverse Growing Inequality,” The Nation, 26 May 2014. See for example Jonathon D. Ostry, Andrew Berg, and Charalambos G. Tsangarides, “IMF Discussion Note: Redistribution, Inequality, and Growth,” (Washington DC: International Monetary Fund, 2014), http://www.imf.org/external/pubs/ft/sdn/2014/sdn1402.pdf. Piketty and Goldhammer, Capital in the Twenty-First Century, 220.
 International Labour Organization and International Institute for Labour Studies, “World of Work Report 2011: Making Markets Work for Jobs,” (Geneva: International Labour Office, 2011), http://www.ilo.org/wcmsp5/groups/public/@dgreports/@dcomm/@publ/documents/publication/wcms_166021.pdf. Page references in this article are to the hardback version published by Belknap Press, 2014. Piketty and Goldhammer, Capital in the Twenty-First Century. The author of this article has written an assessment of some of the main criticisms, which is available on request via weirgeoff@bigpond.com. See Thomas Piketty, “Supplementary Materials to Capital in the 21st Century,” Paris School of Economics, 2014, http://piketty.pse.ens.fr/en/capital21c2. The only case where this is not true is the UK, but here Giles' preference for an alternative, survey-based data source on wealth distribution is hard to justify given the unreliability of self-reported wealth surveys. Piketty and Goldhammer, Capital in the Twenty-First Century, 264. Warren Buffet, “Statement of Warren Buffett, Chairman and Chief Executive Officer, Berkshire Hathaway, Omaha, NE,” in Committee on Finance United States Senate One Hundred Tenth Congress, first session (Washington: U.S. Government Printing Office, 2007). Piketty and Goldhammer, Capital in the Twenty-First Century, 485. This paper provides a reflection on the discussion from a recent conference titled Global Energy Governance and the G20, collectively hosted by the Lowy Institute for International Policy, the Shanghai Institute for International Studies (SIIS), the Korea Development Institute and the Centre for International Governance and Innovation. The conference took place at the SIIS over 28-29 May 2014. The paper also offers a few thoughts on where the G20 can most effectively provide a ‘value-add’ to the global energy governance system. Although the G20 has, to date, attempted to address several energy-related issues, such as ending inefficient fossil fuel subsidies (the Pittsburgh Summit in 2009), promoting clean energy investment (Seoul in 2010 and Mexico in 2012), and energy efficiency (2014), a dominant theme at the conference was that the G20 “has not adequately addressed the prior need for a revision of the global energy governance system itself.” A comparative advantage of the G20 as a global governance actor is its ability to mobilise political will for reform through the direct involvement of major leaders. Pushing for a revision of the global energy governance system, such that it more adequately reflects modern energy consumption and production dynamics, should become the ‘golden thread’ that drives the G20’s efforts on energy policy. In 2012, the then Chinese premier Wen Jiabao called for greater multilateral coordination between G20 economies on making the global energy market more “secure, stable, and sustained.” Wen’s comment points to a growing interest from China, and the G20 more broadly, on energy coordination, and particularly on how to make the global energy market more responsive to twenty-first century needs. The creation of the G20 Energy Sustainability Working Group (ESWG) in 2013 reflects this development. Yet establishing a common understanding between G20 members of what a ‘secure, stable, and sustained’ global energy market actually looks like, let alone on how to get there, is a complex and difficult task. It does not help that the current global energy governance architecture is “fragmented, byzantine, inflexible” and largely designed as a response to the energy challenges of the 1970s, and not those of 2014. Moreover, the domestic energy policies of major economies leave much to be desired in terms of maximising globally efficient outcomes. Climate change is the most obvious and pressing energy policy-related externality. Even the International Energy Agency’s (IEA) ideal ‘450 scenario’, where governments actually implement the requisite policies to stabilise the concentration of CO2 gases in the atmosphere to 450 parts per million (ppm) by 2100, still only leaves the planet with an at best 50 per cent chance of not exceeding a 2˚C increase in average global temperatures by the end of this century. Of note, the 2˚C target demands a cap on additional carbon emissions up to 2050 of 565 gigatons, whereas present fossil fuel reserves are estimated to be around 3000 gigatons. And yet, in 2012, taxpayers worldwide footed a bill for US$544 billion in subsidies for the production and consumption of fossil fuels, with over half of this amount spent on oil products. To further highlight the inefficiency of this allocation of resources, one-quarter of the world’s population accounts for 90 per cent of global energy consumption, while 1.3 billion people lack access to even basic electrical infrastructure, and 2.6 billion people still rely upon burning traditional biomass for cooking. Moreover, absent a significant increase in energy infrastructure investment in low-income countries, energy poverty is not predicted to disappear anytime soon, with the global population expected to increase from 7 billion in 2012 to 8.7 billion by 2035, pushing global CO2 emissions to over 40 per cent above 2011 levels if current energy policies remain unchanged. Yet as ‘diabolical’ a problem as climate change is, it is just one symptom of the major disruption that has occurred in the global energy market since the 1970s, and that has left the world with an increasingly archaic and inadequate global energy governance system. Christian Downie outlines several of these symptoms elsewhere in this Monitor, but suffice to say, demographic and technological change has fundamentally altered energy production and consumption in major markets, with former net exporters becoming importers and vice versa. New drilling techniques (such as fracking) mean net oil imports in the United States could potentially fall to zero by 2037, with China already in the process of surpassing the United States as the world’s largest oil importer. Large net exporters such as the Organization of Petroleum Exporting Countries (OPEC) are consuming more of their own resources, while energy supply and demand channels are also being disrupted by the entry of new smaller players into the global energy market. The continual advancements in solar technology further compound the disruptive forces building up in the system. Given the IEA’s influential role as a collector and disseminator of global energy data through publications such as the World Energy Outlook, it is presently the most well-placed agency for taking on a more globally strategic role. Yet the IEA’s membership is only open to countries within the OECD, and thereby excludes members of OPEC, and also Brazil, China, India, Indonesia, Mexico, Russia and South Africa. Although these latter countries have recently entered into an ‘association’ with the IEA and have agreed to work more cooperatively on collating energy data, until the IEA abandons the ‘OECD-only’ criteria for full membership, non-OECD countries will have little incentive to meaningfully engage with the IEA as a policy coordination process. Similarly, while the International Energy Forum (IEF) brings together energy ministers from 89 countries, including BRICS, IEA and OPEC members, it is at best a forum for “exchanging views and high level networking, rather than making policy”. The more issue-specific mandates of OPEC, IRENA and the UNFCCC naturally mean they do not qualify for taking on a more strategic ‘birds-eye view’ of the global energy system. The call from participants at the Shanghai conference for the G20 to take the lead in reforming global energy governance draws upon the same logic used in justifying the G20’s own elevation to a leader-level forum during the 2008 global financial crisis. Briefly, the clear redistribution of global wealth in the past decade meant the advanced G7 economies could not implement an adequate response to the financial crisis without support from, and consultation with, the major emerging economies. So too for energy – whereas the OECD/IEA countries once accounted for 60 per cent of global energy consumption in 1973, their share by 2011 had fallen to 40 per cent, and is expected to drop to approximately 30 per cent by 2035. The G20 economies as a whole, however, are now responsible for three-quarters of global energy consumption (and almost 80 per cent of fossil fuel CO2 emissions). Given the redistribution of energy consumption patterns between G20 members is comparable to that which occurred in the global financial system over the past two decades, participants at the Shanghai conference were adamant that the G20 should not wait for a global energy crisis before it takes an active role in global energy governance reform. Nevertheless, participants were divided on whether it would in fact take a crisis before the G20 moved to make a meaningful contribution to global energy governance. While some felt that substantive change would not come absent of a major disruption in the global energy market, a view echoed by Christian Downie in this Monitor, there was at least general agreement that the G20 should move to pursue policies that promote ‘trust’ between G20 economies on energy governance. Strengthening the level of trust between OECD economies and the major emerging economy energy producers and consumers − especially China − should, in principle, mean the major players would at least be more inclined to work together in an energy crisis, rather than revert to the kinds of unilateral or ‘rival-bloc’ behaviour that exacerbated oil crises in the 1970s. Still, energy governance reform is likely to be incremental in the absence of such a crisis, and the remainder of this paper looks at some of the recommendations made at the Shanghai conference as to how the G20 can best assist in pushing for a truly inclusive energy governance system, fit for the twenty-first century. Should G20 leaders be able to agree on the need for a more responsive, inclusive, and relevant global energy governance system, they will need to develop a strategic work program that can facilitate such an outcome. Several possible methods for devising such a program were proposed in Shanghai, but they all broadly begin with the premise that the G20 should be pushing to strengthen the work of other agencies, rather than assuming any formal responsibilities itself. At the very least, leaders should draw upon the emerging momentum for greater energy cooperation by experimenting with a G20 energy ministerial stream under either the 2015 or 2016 G20 presidencies, naturally supported by the ESWG, possibly on the sidelines of the Clean Energy Ministerial process. Whatever mechanism the G20 lands upon (if any) to design its future work program, it will need to outline clear objectives in the short term, and how these are connected to a long-term vision for the global energy system. Realistically, if the long-term goal is to have some kind of global and effective ‘energy steering committee’ that brings together the major energy players on equal terms, this is unlikely to happen overnight, let alone without the requisite political support and blessing of the G20 governments. This will require a common understanding between G20 members on what it actually means when it uses phrases such as the “global energy security agenda” − as found in the St Petersburg communiqué − lest the G20 simply end up pushing for institutional reform for its own sake. Under Australia’s presidency, the ESWG has narrowed its focus down to energy market transparency, energy governance architecture, and energy efficiency, but absent of a clearly stated G20 position on how these agenda items fit into a long-term vision (and the broader G20 agenda for that matter) the G20’s long-term contribution to energy governance may amount to little more than window-dressing. Broadly though, G20 economies have a clear interest in devising processes to assist in the future security of supply and access to energy markets, as well as promoting adequate investment in efficient energy infrastructure. Several papers submitted at the Shanghai conference also made a strong case for linking any future G20 work program on energy governance to the global sustainability agenda, particularly the post-2015 Sustainable Development Goals. Using these themes to construct a coherent vision on what the G20 hopes to achieve for energy governance would also assist in determining which agency, or collective of agencies, the G20 should work with more closely in order to achieve its objectives. If the G20 is able to establish a coherent vision on energy, it should then look to draw upon the work of existing energy governance actors and how they can best be brought together to “build trust, share information, exchange views and promote transparent markets.” While the possibility of devising a wholly new body should not be completely ruled out, as David Cameron’s report to the G20 in 2011 on governance reform states: “the solution in many cases is not formally changing mandates or creating new bodies … rather, institutions should be given clearer and stronger political direction to work together.” Accordingly, many participants in Shanghai identified technical assistance for, and the production of, high-quality statistics around energy production and consumption patterns as the most logical basis for the G20 countries to start strengthening trust with one another and in energy multilateralism. In this regard, the relevant G20 members should move to provide requisite political and financial support for the IEA Association process, and joint IEF-OPEC-IEA initiatives, so as to promote “timely and comprehensive global and regional information on energy markets and investment.” A handful of participants doubted the likelihood of the ‘association members’ ever becoming full and equal participants in the IEA, but the IEA’s premier role as a global collator and provider of energy data analysis was still seen as useful for developing a strong evidence-based approach for future energy cooperation. Thus, while the IEA’s OECD-only membership prevents it from becoming a policy coordination centre for OECD and emerging economies in the present, the IEA’s attempts to provide technical support to the latter should nevertheless be supported. Efforts should also be made to bolster IEF-IEA-OPEC cooperation on the creation of ‘energy outlook’ research, particularly in promoting market transparency through the Joint Organisations Data Initiative (JODI) that compiles global statistics on oil and gas. Such transparency measures will ideally help to “improve market efficiency, reduce harmful price volatility, and strengthen confidence in markets as an effective guarantor of energy security.” Stronger transparency should also prove useful in the quest to attract investment for high-quality energy infrastructure. A greater collaborative effort between the IEA and the major emerging economies over the management of emergency oil stocks constitutes another avenue for building trust. China and India in particular, as two of the world’s largest oil importers, are not presently part of the IEA’s emergency reserve mechanism, despite their major interest in ensuring stability of supply. The ‘Malacca dilemma’, identified by former Chinese president Hu Jintao, points to the concern the Chinese leadership has in preventing a sudden denial of access to the Malacca Straits, which accounts for up to 80 per cent of its total oil imports. Although all members of the IEA must agree to remain compliant with the strategic reserve program, the declining share of IEA members in global net oil imports means it is worth exploring avenues for the participation of the major emerging economies in the arrangement, if it is to have any ongoing real-world use. As valuable as ‘trust-building’ and information-sharing is for healthy global governance, the world does ultimately need a forum where the major energy players can actually formally negotiate modes of energy cooperation on equal terms. The G20’s work on global financial reform after the financial crisis was seen by many as a precursor to what the G20 should eventually push for on energy, particularly with respect to the G20’s role in transforming the Western-centric Financial Stability Forum into the Financial Stability Board (FSB), which now includes all G20 economies. As such, tasking G20 energy ministers, the heads of the major energy agencies, and other institutions with a significant stake in energy policies (such as the World Bank) to work together in exploring potential opportunities for future policy cooperation – an ‘Energy Stability board’ (ESB) – could be one recommendation G20 leaders make either in Brisbane or under the Turkish presidency in 2015. Yet even if the G20 pursues the creation of an ESB-like body, it would likely have to draw heavily upon the resources and functions of the IEA to support such an endeavour, which points to an expansion of the IEA as still being the first-best option for building a stronger energy governance system. The political difficulties of bringing about such a revision of the IEA cannot be denied, yet it is evident that the agency’s future relevance, and the maintenance of its primary position in global energy governance, depend upon a more inclusive shift away from the status quo. At the very least, the IEA should be encouraged to open an ‘IEA Association’ office in Asia, with the most logical option being in China. Realising such goals will require long-term vision and the honest commitment of G20 leaders, particularly as the G20 brings together the major IEA members and proposed partner countries. The recommendations above, and others raised at the SIIS conference, may ultimately prove beyond the forum’s capacity, but if the G20 cannot at least push global energy reform in the right direction, then it is not clear who else can. 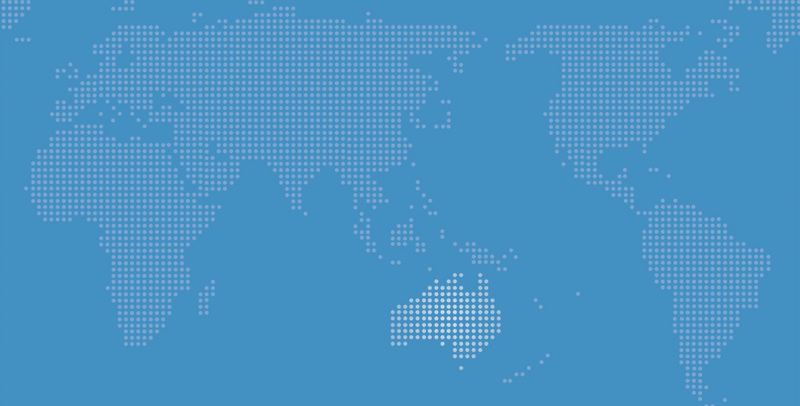 Research Associate in the G20 Studies Centre at the Lowy Institute for International Policy. To see the full agenda and speaker list for the conference, visit: http://www.lowyinstitute.org/files/agenda_as_of_may_28-291.pdf. Hugh Jorgensen, “The G20 and the Global Energy Governance Gap: A Case for Leaders,” in G20 Monitor No.10: Infrastructure, Tax, Energy (Sydney: Lowy Institute for International Policy, 2014). Barry Carin and Domenico Lombardi, “Policy Recommendations” (paper presented at the Global Energy Governance and the G20, Shanghai Institute for International Studies, 28-29 May 2014); Dries Lesage, ibid. Mike Callaghan and Hugh Jorgensen, “The G20 and the IEA: Plugging Energy Governance Gaps” (ibid.). Neil Hirst, “Paper for Session on "Global Governance and the G20"” (ibid.). Ann Florini, “Policy Recommendations,” (London, December 2012); IEA, World Energy Outlook 2013, (Paris, 2013). Ibid. ; Ann Florini, “Policy Recommendations” (paper presented at the Global Energy Governance and the G20, Shanghai Institute for International Studies, 28-29 May 2014). Ed Crooks and Lucy Hornby, “The New Gas Guzzler: China Has Overtaken the Us as the World's Top Oil Importer,” Financial Times, 9 October 2013. Neil Hirst, “Paper for Session on "Global Governance and the G20"” (ibid. ); Thijs Van de Graaf, “Policy Recommendations” (ibid. ); Mike Callaghan and Hugh Jorgensen, “The G20 and the IEA: Plugging Energy Governance Gaps” (ibid.). Barry Carin, “Paper for Session on ‘Global Governance and the G20’” (ibid. ); Zhu Song-Li, “Initial Ideas on Co-Efficiency of Global Climate and Energy Governance in G20” (ibid.). Neil Hirst, “Paper for Session on "Global Governance and the G20"” (ibid. ); Mike Callaghan and Hugh Jorgensen, “The G20 and the IEA: Plugging Energy Governance Gaps” (ibid. ); He Xingqiang, “Policy Recommendations” (ibid.). Shi Xunpeng in particular believes expansion of the IEA to include developing countries is a completely unrealistic goal, see Shi Xunpeng, “Achieving Concerted National Actions: A Developing Countries Perspective on Global Energy Governance under G20” (ibid. ); He Xingqiang, “Policy Recommendations” (ibid.). Neil Hirst, “Paper for Session on ‘Global Governance and the G20’” (ibid.). Zhu Song-Li, “Initial Ideas on Co-Efficiency of Global Climate and Energy Governance in G20” (ibid.). IEA, “Key World Energy Statistics,” (Paris, 2013). Ann Florini, ibid. ; He Xingqiang, ibid. “Policy Recommendations”; Michael Levi, ibid. ; Ken Koyama, ibid. ; Yu Hongyuan, “Global Energy Governance and China-G20 Cooperation” (ibid. ); Dries Lesage, “Policy Recommendations” (ibid.). Thijs Van de Graaf, ibid. The CEM already brings together energy ministers from 17 G20 economies on an annual basis, the only G20 non-participants being Argentina, Saudi Arabia and Turkey. Carin and Lombardi, “Policy Recommendations; Yu Hongyuan, “Global Energy Governance and China-G20 Cooperation” (ibid. ); He Xingqiang, “Policy Recommendations” (ibid.). Ann Florini, ibid. ; Yu Hongyuan, “Global Energy Governance and China-G20 Cooperation” (ibid. ); Dries Lesage, “Policy Recommendations” (ibid. ); Zhu Song-Li, “Initial Ideas on Co-Efficiency of Global Climate and Energy Governance in G20” (ibid. ); Shi Xunpeng, “Achieving Concerted National Actions: A Developing Countries Perspective on Global Energy Governance under G20” (ibid. ); Fuqiang Yang, “Recommendations for G20: Oil and Gas Market, Climate and Sustainability” (ibid. ); Peter Saundry, “Policy Recommendations” (ibid. ); Alfredo Sirkis, “Mechanism of Early and Further Action, "Currency Climate" and "Bretton Woods Low Carbon"” (ibid.). Barry Carin, “Global Energy Governance and the G20,” Centre for International Governance Innovation, 19 June 2014, http://www.cigionline.org/articles/global-energy-governance-and-g20. Hirst, “Paper for Session on "Global Governance and the G20"; David Cameron, “Governance for Growth: Building Consensus for the Future,” (London, November 2011). Hirst, “Paper for Session on "Global Governance and the G20"; Thijs Van de Graaf, “Policy Recommendations” (ibid.). For criticism of the prospects of the IEA Association process, see Barry Carin, “Paper for Session on ‘Global Governance and the G20’” (ibid. ); Also see He, who notes the likely resistance NOC’s in China will have to actively sharing their data with IEA in He Xingqiang, “Policy Recommendations” (ibid.). Shi Xunpeng, “Achieving Concerted National Actions: A Developing Countries Perspective on Global Energy Governance under G20” (ibid.). Michael Levi, “Policy Recommendations” (ibid.). Mike Callaghan and Hugh Jorgensen, “The G20 and the IEA: Plugging Energy Governance Gaps” (ibid. ); Ann Florini, “Policy Recommendations” (ibid. ); Neil Hirst, ibid. ; He Xingqiang, ibid. Ann Florini, ibid. ; Neil Hirst, “Paper for Session on "Global Governance and the G20"” (ibid. ); He Xingqiang, “Policy Recommendations” (ibid.). Carin, “Global Energy Governance and the G20”. At the upcoming G20 Brisbane Summit in November, leaders look set to consider reform of the global energy governance architecture. This would mark the first time that G20 leaders have actively considered whether the existing international energy architecture, largely created in response to the oil shocks of the 1970s and dominated by the International Energy Agency (IEA), is sufficient to meet the rapidly changing demands of the global energy sector, a sector which now accounts for two-thirds of global greenhouse gas emissions. The global energy sector is experiencing a transformation. Nations that were major energy importers only a few years ago are becoming exporters, exporters are becoming large consumers, and previously small consumers are now the prime source of global demand for oil and gas. China is now the world’s largest energy consumer and is set to become the largest oil importing country. India is projected to become the largest importer of coal within a decade. And the US, once the largest energy consumer, and dependent on Middle Eastern oil, could be on track for energy self-sufficiency with the revolution in unconventional oil and gas supplies. In other words, the global energy sector is no longer dominated by a small band of energy-importing OECD countries in Europe and North America. Rather, it is quickly being reconfigured by the growing demand for energy from non-OECD countries, especially in Asia and the Middle East. However, these changes are also taking place in a carbon constrained world. “As the source of two-thirds of global greenhouse gas emissions, the energy sector will be pivotal in determining whether or not climate change goals are achieved”. Put simply, the climate problem is an energy problem. Yet energy emissions continue to rise and the likelihood of reducing global temperatures to 2˚C, the so-called guardrail for preventing dangerous climate change, appears the hope of a previous decade, not this one. If the world does not take action to reduce global greenhouse gas emissions it is projected that by the end of the century average global temperatures will rise by 5˚C above pre-industrial levels. While there has been much discussion in the G20 on the potential role of the G20 on energy, there is much less on what conditions need to be met for the G20 to act in a significant fashion. In other words, to drive changes that secure the reliable and affordable supply of energy on the one hand, and the transformation to a low carbon energy future on the other. If there is a general recognition among G20 countries that such reforms are required, why is it not happening on a global scale? What is required for the most powerful countries in the world to reform the governance system in a significant fashion? This paper takes up this task and examines in turn the principal conditions that will need to be met, if the G20 is to drive more than piecemeal change. For most of the twentieth century, the United States has been the most powerful state in the world and arguably remains so today. US leadership has also been crucial to the success of the G20. Its establishment as a leaders’ summit owed much to US coordination, and two of the first three summits were hosted in the United States (in Washington, DC in 2008 and Pittsburgh in 2009). In addition, it is the major donor to most international institutions, including the IEA, the predominant energy organisation. As a result, should the United States decide to take a leadership role on energy in the G20 there is a good reason to believe that global energy governance reform can be achieved. However, while the United States remains a constructive member of the G20, under President Obama it has not been inclined to lead. To a large extent, this reflects the fact that the United States is able to serve its interests in other forums and via other means. For example, the United States has been more comfortable using bilateral channels, such as the US-China Strategic and Economic Dialogue, to manage its relationships with emerging economies. There is also a general antipathy in the US Congress to new multilateral initiatives, evident in recent delays on the passage of multilateral trade agreements and a refusal by Congress to grant the president fast-track authority to negotiate such agreements. That said, the Obama administration has recognised the need to recast the existing international energy architecture. For example, in 2009, then US Secretary of State, Hillary Clinton, publicly acknowledged that IEA membership should be enlarged to include China and India, and the United States has supported the IEA’s association initiative to engage the major emerging economies that remain outside the IEA, by virtue of the fact that they are not OECD members. It is also likely that the United States is open to the possibility of a new world energy organisation. Yet at the moment it does not view such an institution as realistic, nor is it prepared to invest the political capital to drive such a reform. Instead, it appears that the preference of the Obama administration is to pursue its energy goals bilaterally and within the existing international architecture. After the United States, China is the only other state that could unilaterally drive global energy governance reform through the G20. As the world's largest energy consumer and largest emitter of greenhouse gases, it is now at the centre of every discussion on global energy policy. In fact, China and the United States are now the two largest energy consumers, the two largest oil consumers, the two largest coal producers and consumers, and the two largest carbon emitters. As a result, in the absence of a US desire to lead the G20, China stands as the obvious, and likely the only alternative state that could drive reform. China has used the G20 to question other areas of global governance, such as the governance of the IMF and the World Bank following the global financial crisis. And China has expressed concern about the fragmented nature of the current international energy architecture and has supported moves to reform existing institutions. China was one of six countries in 2013 to issue a joint statement with the IEA supporting the association initiative. Yet even with this initiative China will not be a member of the IEA, and it is hard to believe that it will be willing to accept the rules and norms of a system in the long term without having a voice in how it is run. In short, there are reasons to expect that China could be motivated to drive substantive global energy governance reform. Yet China so far seems to have accepted the existing international order. Although China has clearly become more active in multilateral forums, it has not been inclined to take a leadership role and advocate new institutions or globalise regulations. As others have pointed out, China may appear more confident on the international stage, but this only goes so far. While it is certainly more comfortable in the G20 as it never was in the G8+5 process, Chinese leaders have continued to argue in multilateral settings that China is a developing country “and cannot take on a level of obligation that goes beyond its capacity”. Further, and equally importantly, China, much like the United States, appears to have no clear preference or vision for a future multilateral energy architecture. It is turning to bilateral and regional channels to secure its energy objectives. It has used bilateral dialogues with the United States and Japan to manage energy issues and its national oil companies are active in over 30 countries, where they have signed long-term contracts to secure oil and gas supplies. China has also used the Shanghai Cooperation Organization (SCO) to promote regional energy cooperation, which it founded in 2001, and whose members include Russia and Kazakhstan. In the absence of a powerful state providing unilateral leadership, reform could come from a coalition of states. In multilateral forums, coalitions that defend a common position by explicit coordination can provide a powerful force to direct negotiations toward their preferred outcome. In the context of the G20, the BRICS – Brazil, Russia, India, China and South Africa – are the most likely coalition to drive energy reform, not simply because of their growing economic power, but because the transformations in their economies are driving the rapid transformation of global energy markets and at the same time they are excluded from the principal international energy organisation, the IEA. However, the behaviour of the BRICS coalition suggests they are unlikely to drive substantive global energy governance reform in the near term. First and foremost, they have used their rising economic power to act as a veto coalition, to obstruct initiatives they do not support, rather than to drive reforms they do. The BRICS have questioned the legitimacy of the existing global order, but they have not sought to transform it. As has been documented elsewhere, the BRICS used the global financial crisis in 2008 and their temporarily increased bargaining power, due to their relative economic stability, to question the legitimacy of the global financial institutions, namely of the IMF and World Bank. And, in return for agreeing to provide increased financial resources to the IMF, BRICS countries were able to force the G20 to undertake a series of quota and governance reforms of the IMF to increase their voting power. Yet even when the latest of these reforms is implemented, the so-called 2010 governance reforms, the United States will still hold a voting share of 16.5 per cent (compared to 6 per cent for China and just over 2 per cent for Russia, India and Brazil); enough to veto any IMF decision. Second, the BRICS do not have a clear preference or vision for a future international architecture, be it for finance or energy. In the case of finance, they are quick to chastise the United States or the EU on economic and non-economic issues in G20 meetings, notably the United States’ failure to ratify the 2010 IMF governance reforms, but they are less eager to put forward constructive alternatives that they are united behind. It is the same on energy. For instance, the BRICS have supported the IEA’s association initiative and its outreach to other energy bodies, such as the IEF, but they have not articulated a vision for a future system of energy governance. In short, the BRICS have been able to force piecemeal changes to the existing order, but they have not been willing or able to drive global governance reform in a significant fashion. In other words, they have resisted the type of leadership that has characterised US behaviour in this arena. Given the existing preferences of the United States, China and the BRICS, it is likely that substantive reform will require something to change, some form of crisis to shift behaviour. Major crises have the potential to transform the context in which G20 negotiations on energy take place. Others have noted the role that crises can play in shifting state behaviour. The most common pathway is where a dramatic event, or series of events, captures the imagination of mass publics, after media organisations dramatise the event, and state actors are forced to act to placate the public and the media. The Bhopal accident in 1984 and Chernobyl accident in 1986 are classic cases of events that catalysed mass public reactions and forced states to act both domestically and internationally. Exogenous shocks are not new to the G20. After all, the G20’s legitimacy has largely been determined by its success as a crisis committee, particularly following the global financial crisis. Without a crystal ball it is difficult to know whether an energy crisis is on the horizon, but it is not hard to imagine a scenario. After all, the IEA was only established in response to the oil shocks of the 1970s, and given the current demands on global energy markets from a new cast of consumers and producers, it is only a matter of time before a shortfall of energy in a major consuming nation, such as China following a disruption to oil trade routes, or Europe following a crisis with Russia, or the United States following another hurricane Katrina, sparks a response from the G20. Without the unilateral leadership of the United States or China, or leadership from a coalition of states, most likely the BRICS, which is mobilised by a crisis that shifts the behaviour of these actors, it is difficult to envisage the conditions under which substantive global energy governance reform will occur. Instead, what we are likely to witness in the energy arena are piecemeal changes to the existing order, such as the IEA association initiative, rather than an attempt to transform the existing international energy architecture to match the transformations in global energy markets. Vice Chancellor’s Postdoctoral Research Fellow, Faculty of Arts and Social Sciences, University of New South Wales and Visiting Fellow, Regulatory Institutions Network, Australian National University. IEA, World Energy Outlook 2013, (Paris, 2013). Thomas F. Stocker et al., eds., Climate Change 2013: The Physical Science Basis. Contribution of Working Group I to the Fifth Assessment Report of the Intergovernmental Panel on Climate Change (Cambridge: Cambridge University Press, 2013). “The Peculiar Politics of Energy,” Ethics & International Affairs 26, no. 3 (2012): 303. “The Reform of Global Energy Governance,” (London, 2012), 10. Ann Florini and Benjamin K. Sovacool, “Who Governs Energy? The Challenges Facing Global Energy Governance,” Energy Policy 37, no. 12 (2009): 5243. Bo Kong, “Governing China’s Energy in the Context of Global Governance,” Global Policy 2, no. S1 (2011): 51-65. Jiechi cited in Zhu, China's New Diplomacy: Rational Strategies and Significance, 236. Oliver Stuenkel, “The Financial Crisis, Contested Legitimacy, and the Genesis of Intra-BRICS Cooperation,” Global Governance 19, no. 4 (2013); Peter Drahos, “Regulatory Capitalism, Globalization and the End of History,” Intellectual Property Law and Policy Journal Forthcoming, (2014). IMF, “Quota and Voting Shares before and after Implementation of Reforms Agreed in 2008 and 2010,” (2011), http://www.imf.org/external/np/sec/pr/2011/pdfs/quota_tbl.pdf. G20, “Communiqué of Meeting of the G20 Finance Ministers and Central Bank Governors, Sydney, Australia, February 23, 2014,” (Sydney, 23 February 2014), http://www.g20.utoronto.ca/2014/2014-0223-finance.html. Drahos, “Regulatory Capitalism, Globalization and the End of History”, 14. William Zartman, “Negotiating the Rapids: The Dynamics of Regime Formation,” in Getting It Done: Postagreement Negotiation and International Regimes, ed. Bertram Spector and William Zartman (Washington D.C.: United States Institute of Peace Press, 2003). John Braithwaite and Peter Drahos, Global Business Regulation (Cambridge: Cambridge University Press, 2000); Anthony Downs, “Up and Down with Ecology - the "Issue-Attention Cycle",” Public Interest 28, Summer (1972). Corruption was once seen as a viable development option (bribing the Colonel provided predictability for investors). Corruption is now recognised as a ‘fast road to a dead end’. This wide recognition has led to many good ideas for combating corruption – possibly too many good ideas to pursue in isolation. While countries are encouraged to develop national corruption plans, these can often appear as a list of actions comprising separate legal, institutional, economic and ethical measures rather than a highly coordinated multi-path strategy of mutually reinforcing measures. But even the strongest anti-corruption programs suffer a flaw. Governance goals cannot be reduced to negatives like combating corruption. If corruption is seen as the “abuse of entrusted power for the personal benefit or party political gain” it is necessary to know what the ‘correct’ use is. This leads us to the more central concept of integrity (‘the use of entrusted power for publicly justified and officially endorsed purposes’). The point of government is not merely to avoid the abuse of entrusted governmental power – a goal that could be achieved much more thoroughly by eliminating government. The point of concentrating people, power and resources in our institutions is to further the interests of the public even though this generates the risk of corruption. Accordingly, governance systems need to be designed to maximise integrity and minimise corruption, maladministration, and other failures of integrity. While anti-corruption agencies are an important part of such governance systems, they can only be a means for protecting integrity as advanced by other institutions in which the competition over the publicly justified and officially endorsed uses of government power are resolved and those uses pursued. The promotion of integrity and combating corruption requires a set of integrity institutions, backed by legal, ethical, and economic measures, mutually supporting each other when they are fulfilling their role and mutually checking when they do not. This combination of measures was given various names – ‘ethics regimes’, ‘ethics infrastructure’ then ‘national integrity system’ – of which the last has enjoyed the widest currency. Interestingly, given the location of the 2014 G20 Summit, all of them were inspired by the root and branch reform process followed by Queensland in the early 1990s. A number of methodologies have been developed for assessing and analysing integrity systems, including two by Transparency International (TI) in conjunction with researchers. These methodologies offer the possibility of integrating legal, ethical, institutional and economic means for promoting integrity and combating corruption. However, many anti-corruption efforts are not informed by such approaches and remain mired in a long list of measures, good in themselves, but not integrated. Many of the integrity issues G20 countries face are not confined to single countries. The G20 became a leaders’ meeting because of problems within the global financial ‘system’. Addressing this first challenge requires mapping, analysing, assessing, and improving sectoral integrity systems at a global level – starting with global finance (a ‘Global Financial Integrity System to deal with future ‘global financial crises’) and, the IEGL would suggest, moving on to global carbon control (a ‘Global Carbon Integrity System’) to ensure integrity in whatever emerges from the UNFCCC meeting in Paris in 2015. The second challenge was recognised by a head of the Italian ‘clean hands’ campaign who pointed out that, in many countries, there are ‘corruption systems’ which possess all of the characteristics you would want to find in a national integrity system – clear values, strong institutions linked by long-term and effective relationships, valuable incentives and very strong sanctions. Indeed, in many countries, the national corruption system is much more effective than the integrity system, not least because of constant attempts by the former to disrupt the latter. Integrity institutions need to recognise that they are generally not just dealing with corrupt individuals and organisations but also corruption systems. Accordingly, G20 countries need to understand, map, assess, and analyse the corruption systems that operate within and across these borders. This could be done by the development of existing work on corruption system assessment and corruption network research. To this end, G20 countries also need to look at various attempts to disrupt, expose, and destroy corruption systems so that those afflicted by them can progress. G20 countries should also describe and analyse the various means for tackling large-scale corruption based on previous successes and failures. For the last two decades, the primary focus of corruption studies and anti-corruption activism has been corruption within sovereign states. International activism was largely directed at coordinating national campaigns and to using international instruments to make them more effective domestically. This reflects the broader fact that, since the rise of the nation state, states have comprised most of the largest institutional actors and have been the most significant institution in the lives of most individuals. This made states the ‘main game in town’ for the ‘governance disciplines’ – lawyers, political scientists, economists, and ethicists. Over the last twenty-five years, the flow of money, goods, people, and ideas across borders has threatened to overwhelm the system of sovereign states. Much activity has moved outside the control of nation states at the same time as nation states have ‘deregulated’. In so doing, states have transferred power from those exercising governmental power at the nominal behest of the majority of its citizens to those with greater wealth and/or greater knowledge in markets in which knowledge is often asymmetric. It is now recognised that many governance problems have arisen because of globalisation and can only be addressed by global solutions. It must also be recognised that governance problems at the national level contribute to governance problems at the global level and vice versa. This is true of current issues from the melting Greenland glaciers to a series of ethical and financial meltdowns – the global financial crisis’ (GFC) and the ‘global carbon crisis’ (GCC). It is also true of traditional issues involving interlinked domestic and international conflict and the toxic symbiosis of foreigners paying bribes to officials. This has led to inappropriate infrastructure decisions, stunted development in which the unearned profits are shifted, sifted and deposited in tax havens – items on the G20 agenda. TI commissioned me to do an overview paper for the 2008 Athens International Anti-Corruption Conference titled From National Integrity Systems to Global Integrity Systems. In that paper, I outlined how the application of an integrity systems approach might be applied to the GFC and GCC and other global sectoral problems. Since then, we at the IEGL have been working on the development of that methodology through a series of papers and projects. • Global governance: strengthening the G20, mobilising the UN and its ‘unique legitimacy’, international treaties and other arrangements such as the Global Compact and the Basel Accords. • Regional governance: working with the European Central Bank and regional development banks such as the Asian Development Bank. • National and sub-national governance: these levels of governance must be brought on board, as they are where most banking, competition and financial regulation are managed. • Professional governance: existing professions such as law and accounting must ensure that their services are not used to defraud and add risk. The professionalisation of finance along traditional professional lines would help enormously. • Corporate governance: many key players in this space have weak integrity processes that could certainly be improved. While ‘ethics regimes’, ‘ethics infrastructures’ and ‘national integrity systems’ were seen to be the answer to corruption, TI’s early comparative studies generated some surprising results. Although countries with stronger national integrity systems were generally less corrupt than those with weak national integrity systems, the correlation was not as great as it might be imagined. Some countries with very low levels of corruption seemed to lack institutions that TI’s model of a national integrity system needed. Some highly corrupt countries appeared to have all the elements of the TI model – and some new ideas and improvements of their own that should have made their integrity systems even more effective. The answer was hinted by Gerardo Colombo, a leader of the Clean Hands campaign, at the IEGL’s launch of the National Integrity Systems Assessment (NISA) in late 2004. He thought that the work the IEGL had done was very good and there should be more of it. But he said the IEGL should pay at least as much attention to what he called ‘national corruption systems’. He pointed out that they often had what integrity systems needed but frequently lacked – strong institutions, long-standing relationships, clear norms, strong incentives, and sanctions that were not only very strong but very likely to be inflicted. The strength of a national integrity system is not the only relevant variable in determining the level of corruption. The more significant variable is the strength of the ‘national corruption system’ (NCS) – which is, in many states, better organised, resourced, and more effective than the NIS. This may explain why some states with apparently limited ‘integrity systems’ are relatively free from corruption and some states with apparently extensive ‘integrity systems’ remain highly corrupt. While a NIS may be seen as the best way to promote integrity, the corrupt are often far more organised – with long-established patterns of behaviour, strong institutions, clear norms and effective positive and negative sanctions. The NCS will seek to disrupt and corrupt the NIS. As a corollary, the NIS should not merely seek to deter, detect and prosecute bribe givers and bribe takers but should first set to map and understand the corruption system then plan how to disrupt and destroy it. Corruption systems research: the next major field of corruption/integrity research? Gerardo’s comments suggest what may be the next major field of corruption/integrity research, capacity building and action. The IEGL has been scoping and trialling corruption systems mapping work in the Philippines with three workshops funded from a variety of sources. Many now believe that this is the ‘next big thing’ in anti-corruption work (just as integrity systems were in the late 1990s). Long before the integrity reforms were enacted, Queensland’s corruption system had been effectively destroyed by the Fitzgerald Inquiry. The exposure was so complete that the corruption system operating within the state was effectively destroyed and could no longer function in its previous form. In the beginning, the Inquiry probed allegations of police misconduct and activities but eventually expanded to become a wide-ranging investigation into the entire institutional framework of the State. The methodology was instructive. Judicious grants of immunity were given to those who were prepared to disclose their activities. While immunities allowed certain witnesses to escape prosecution, without indemnities it is unlikely that evidence would have become public. The Inquiry encouraged the ‘small fish’ to disclose in return for immunity and then worked up the hierarchy until the whole picture was exposed. At a certain point, it was announced that the Inquiry was interested in hearing from those who could tell them something they did not already know – and could offer immunity from prosecution. Such strategies are not new. The key to success is to set incentives so that it will be in the perceived best interests of most members of the corruption system to disclose to preserve their interests. If those incentives are set correctly, sufficient numbers will volunteer information and the rest will have an incentive to do so because of the likelihood of exposure. This outcome was the experience of the Fitzgerald Inquiry approach. There are many powerful opponents of reform. In order to cause a mass exodus from an entrenched corruption system, a seminal event or defining process is needed to alter expectations and incentives that are sufficient to encourage significant numbers of individuals to desert the corruption system and assist the integrity system in exposing and destroying it. The Fitzgerald model operated under a system of sequential investigation and offered general immunity as part of a public inquiry. The visibility of the hearings made them a powerful form of public disgrace for indemnity applicants that in important ways mimicked the exposure of a criminal trial. However, the real goal is to expose the ‘big fish’ and help the public and prosecutors understand what the corruption system is and how it works, so the latter can set about dismantling it. An amnesty for corruption related offences would offer a much broader remedy in which all those who admit to their part in corruption are given immunity from prosecution, and depending on the extent of their corruption and their position, they may even keep their jobs or some of the ill-gotten gains. However, the terms of the amnesty should not merely involve forgiveness for any corruption admitted. It should be based on the principle that full immunity is given if there is full disclosure. Failure to declare all means that no immunity is provided. Selective reporting of corruption is not acceptable. An extra incentive to disclose could be in allowing those who disclose to keep a proportion of the proceeds of the corruption and to receive a proportion of the proceeds of corruption of others which is proven. TRCs are one important element in the growing transnational institutional apparatus behind international human rights and humanitarian law. They could play a similar role where corruption has been entrenched. TRCs can identify far more perpetrators than investigations and prosecutions would uncover. They allow for a more public and systematic account of corruption in a jurisdiction than an amnesty, and allow for further investigation beyond merely a receipt of the information under an amnesty. TRCs can be very useful and potentially transformative where there is a practice or collective experience that most want to put behind them. It allows national recognition of a form of wrongdoing and a national decision to move on from it – with perpetrators admitting wrongdoing individually and collectively seeking forgiveness from victims individually and collectively. As with the version of amnesty suggested, full disclosure should be required to secure immunity. However, it is also useful to operate on the principle that the first to report obtain more favourable treatment. This would avoid creating an incentive to hang back and see what else comes out. All three methods are based on an exchange between the individually corrupt and the state (and its citizens). The individuals have information that the state wants – knowledge of individual corruption and of how the corruption system operates. The state has the capacity to grant immunity and, with it, liberty. The individuals also have something that they would like to retain and which the state would like returned – the proceeds of corruption. One of the central goals of all three methods of combating corruption systems is to achieve an exchange of information for retained freedom. Amnesties and TRCs can build on the fact that corruption almost universally requires more than one person. The state should try to create a set of incentives and disincentives so that, in the corrupt individual’s mind, disclosure benefits them, no matter what their accomplices do, while silence benefits the others no matter what that player does. The state should seek to create something analogous to the prisoner’s dilemma – without the dilemma. If the majority of those involved (generally ‘small fish’) will keep most of the assets and lifestyle they have and are not likely to be killed for such revelations, then it is in their economic interests to disclose. Failure to do so would cost liberty, assets, and lifestyle. Silence achieves little if everyone else involved is silent too but is catastrophic if at least one other person discloses. The ‘bigger fish’ will have to disgorge some of their gains but still retain enough to maintain a more modest but desirable lifestyle. Only one of the people with whom they had corrupt dealings need to disclose for the ‘bigger fish’ to lose everything. The systemic benefits of identifying and stopping corruption make generosity worthwhile. If the incentives are structured so that rational people would be expected to choose the path of disclosure then it operates at two levels, as a ‘double reason for action’. The favourable balance of incentives and disincentives mean that an individual is likely to disclose. The fact that he or she knows that it is in the interests of others who were involved in their corruption and know of their involvement, gives a further reason to divulge their actions. This is what generates such a powerful incentive to disclose and would make a corruption TRC so much more effective. Why should this be a priority for the G20? Many of the problems the G20 confronts are not strictly a matter of corruption but of a lack of ethics and integrity. Many see the global financial crisis (the ‘great recession’ to others) as at least partly caused by serious failings in the ethics and integrity of bankers, ratings agencies and the professional lawyers, accountants and auditors who worked for them. The same can be said of the LIBOR currency manipulation scandal. In other areas of the G20 agenda, integrity is critical and failures of integrity are not essentially a matter of corruption – including financial regulation, BEPS and infrastructure. The Brisbane Leaders’ Declaration should emphasise the importance of promoting integrity as well as combating corruption and encourage developing integrity systems and understanding their opposite (corruption systems). Rename the ACWG the IACWG – integrity and anti-corruption working group, giving it new impetus. The IACWG would take a coordinating and leadership role in developing integrity and corruption systems assessments. The G20 Action Plan 2015-2016 should commit to extending the ACWG (preferably renamed IACWG) and including integrity and corruptions systems assessments at the national and global level in its work plan. The G20 should urge its members to encourage their integrity agencies, professions and academics to collaborate in integrity and corruption systems research within and across their borders. The G20 should encourage research funding bodies within its member states to recognise this work among their priorities. Director, IEGL, The Institute for Ethics, Governance and Law, (a joint initiative of the United Nations University, Griffith, QUT, ANU, Center for Asian Integrity in Manila and OP Jindal Global University, Delhi), President, International Institute for Public Ethics. “the abuse of…” definition is utilised by Transparency International and has gained widespread acceptance. Charles Sampford, “Law, Institutions and the Public Private Divide, Alta Keynote,” Federal Law Review 185 (1992); OECD, “Ethics in the Public Sector: Current Issues and Practices,” (Paris, 1996); Petter Langseth, Rick Stapenhurst, and Jeremy Pope, “The Role of a National Integrity System in Fighting Corruption,” Commonwealth Law Bulletin 23 (1997). In the late 1980s, a Commission of Inquiry revealed widespread corruption throughout the government of the state of Queensland, and the Queensland police force. The 630-page report that stemmed from what is now known as The Fitzgerald Inquiry (named for Tony Fitzgerald QC, who led the inquiry) made over 100 recommendations to combat corruption throughout Queensland. For more, see: Queensland Crime and Corruption Commission. "The Fitzgerald Inquiry." https://www.ccc.qld.gov.au/about-the-ccc/the-fitzgerald-inquiry. Towards Carbon Integrity: Applying Integrity Systems Methodology to the ‘Global Carbon Crisis’." See Alan Doig and Stephanie McIvor, “The National Integrity System: Assessing Corruption and Reform,” Public Administration and Development 23, no. 4 (2003). This article built on a Transparency International (TI)-sponsored research study funded by the Dutch Government into the National Integrity System (NIS) in practice. A system could exist where a sliding scale operates so that a witness before such a commission may get to keep some of the proceeds of corruption depending on whether they were a ‘small fish’ or a ‘big fish’ in the corruption system. For clean individuals who report what others have done, a reward system could apply. In the case of wrongdoers, future unlawful activity will produce full prosecution for previously admitted corruption and any future corruption.